Our coffees are served hot and made from whole beans. 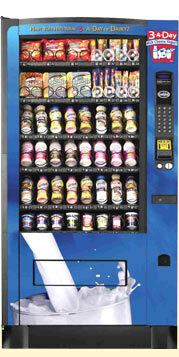 Stock your vending machine with a variety of products including flavoured options. 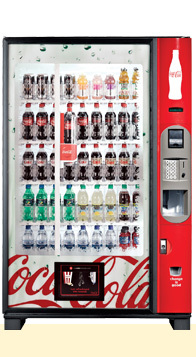 We offer a selection of refreshing Coca-Cola vending equipment, including carbonated beverages, juices, energy drinks and vitamin waters. 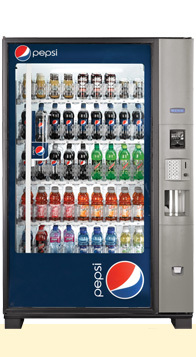 Vending machines with our Pepsi line-up includes juices, waters, sports drinks and carbonated classics. Choose from a variety of vending options including microwaveable meals, sandwiches, hamburgers & hotdogs, breakfast sandwiches, soups, milk and juices. Enjoy a variety of wholesome snacks and drinks including plain & flavoured milk beverages, cheese snacks and yogurt. 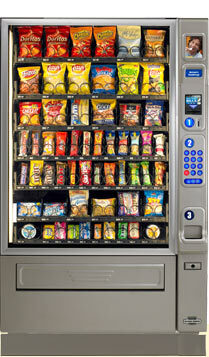 Our snack vending machines feature fully customizable product line-ups. We have many savoury and sweet options to choose from. City Coin vending services will work with clients to create custom product line-ups best suited to their industry, location and demographics. City Coin is a proud member of the Canadian Automatic Merchandising Association, which serves the professional vending and office coffee retailers or Canada. Our call centre provides 24-hour vending support.